A man named John was sent from God (v.6) Into this overarching narrative of the grand plan of salvation, we have the curious insertion of John the Baptist. We should note that this fourth gospel never uses the moniker “the Baptist” or “the Baptizer” – in fact John is never called the “forerunner” or “herald.” John has one role and one role only: witness (v.7). Leon Morris suggests that this is a response to a late 1st century controversy about the role and place of John the Baptist in the story of Christianity. “We should recall that some had baptized in John’s name as far afield as Ephesus (Acts 19:3), and they may have gone further. The great Apollos is first introduced as one who “knew only the baptism of John” (Acts 18:25). Our author does not enter directly into controversy with such people, but he insists more than any of the other Evangelists on the subordinate place of the Baptist. One of the aims of this Gospel plainly was to show how clearly and consistently John had pointed people to Jesus.” (Morris, 78) John the Evangelist does not directly confront the claims of the Baptist’s followers, but he insists more than any of the other Evangelists on the subordinate place of the Baptist. One of the aims of this Gospel plainly was to show how clearly and consistently John the Baptist had pointed people to Jesus. The Contrast between Jesus and John. “He [John] was not the light…” (v.8) The contrast is continued when John is described as “a man,” for Jesus has already been spoken of as “the Word.” While the Evangelist is concerned that John should not be accorded the place that belongs to Jesus he is also concerned that John’s true greatness should be seen. John was “sent from God” (cf. v. 33; 3:28). His mission was not of human but of divine origin. This bold assertion at the very first mention of the Baptist is clear evidence that the Evangelist is not engaging in a campaign of denigration. He fully recognizes the greatness of the forerunner. The Work of the Baptist: Testimony. Verse 8 is clear. John came “to testify” (martyreō, “bear witness”). Witness is one of the key concepts of this Gospel – John the Evangelist uses this word more than all the other gospel writers combined. He speaks of John the Baptist as a witness often – and only as a witness. 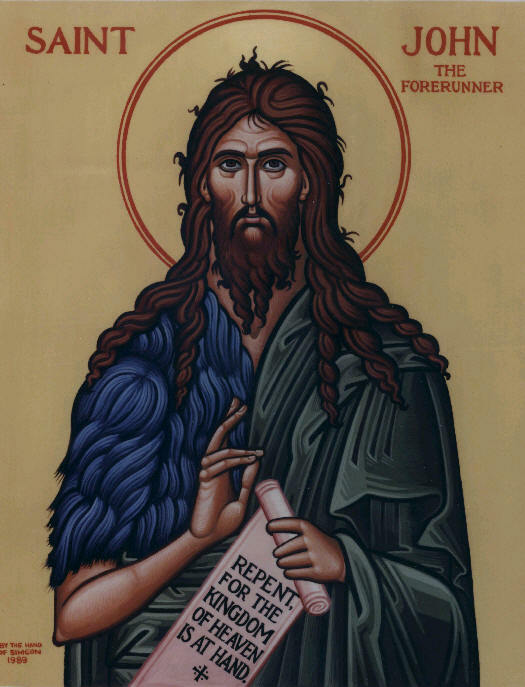 In the Synoptic Gospels John the Baptist’s preaching of repentance and his practice are noted. In this Gospel his one function is to bear witness to Jesus; the references to his baptism are incidental. It is perhaps significant that there is no mention of his baptizing Jesus. But there is repeated reference to his witness; cf. 1:7, 8, 15, 19, 32, 34; 3:26 (cf. 3:28), 5:33. For this gospel writer John’s witness is what matters. It was for witness that John came, and nothing else that he did can be compared in importance to this. This bearing of witness was not an end in itself. Behind it was the purpose “so that all might believe through him.” (v.7) Grammatically, “believe” is not in the continuous tense, and this is perhaps significant. John came to bring people to decide, to make the definitive act of faith. 1:7 He came for testimony: The testimony theme of John is introduced, which portrays Jesus as if on trial throughout his ministry. All testify to Jesus: John the Baptist, the Samaritan woman, scripture, his works, the crowds, the Spirit, and his disciples. The Greek expression lends an emphasis to the testimony itself rather than the one who testifies. This entry was posted in Scripture and tagged 3rd Advent, John 1, John the Baptist by Friar Musings. Bookmark the permalink.